WHAT HAPPENS WHEN AFRO-CENTRIC MEETS PROJECT X? SPECIAL GUEST LITTLE BACON BEAR !!! DJ sets by Nature Boi and the Afro Project X family! Featured Afro-centric beauty, fashion, health and art vendors to be in attendance! 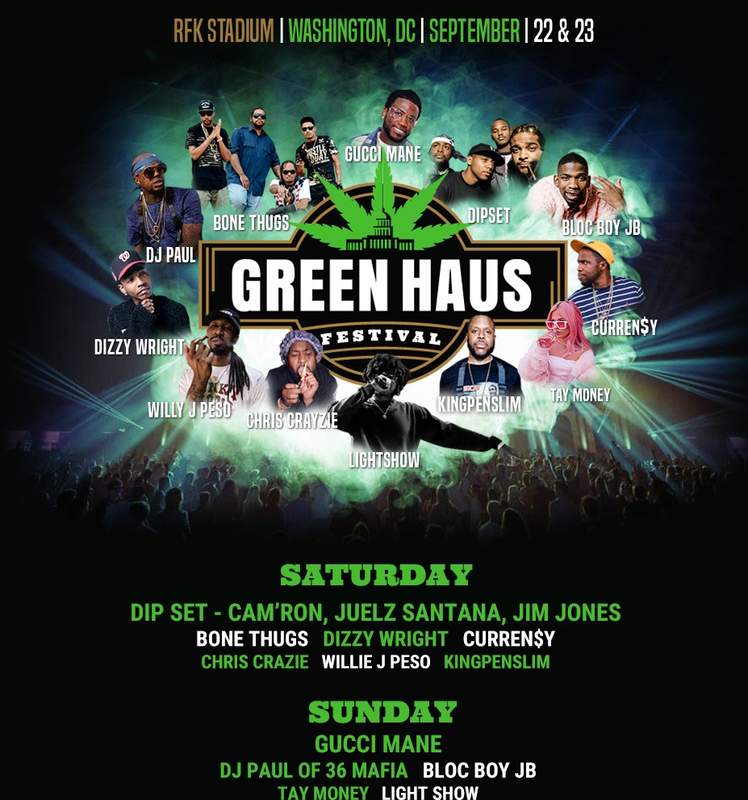 GreenHaus Festival, a two-day celebration of the best in music, art, medical cannabis and culture will hit Washington, D.C. on September 22 and 23 with headliners Gucci Mane and Dipset (aka Cam’ron, Juelz Santana and Jim Jones). They will be joined by fellow performers Bone Thugs, DJ Paul of Three Six Mafia and BlocBoy JB, whose hit single “Look Alive” with Drake ruled the summer. The rain-or-shine concert will also feature local fare from a variety of food trucks and to-be-announced local performers. Festival goers will also have the chance to enjoy a curated program of educational cannabis advocates on the community stage, alongside more than 50 premier Initiative 71-compliant vendors. GET YOU GREEN HAUS FEST TICKETS HERE! Free Admission!! Come on out and have a great time with us featuring @dj.chop22 on the 1's and 2's. 09.01.18, prepare for takeoff with The Social Group at Ozio Day Trip! Start the day with our $6 Grey Goose and $8 D'Usse cocktails along with $25 hookah until 5pm. $3 Beer & Wine, $4 Rain, $5 Martini, $6 Grey Goose + Jack Daniels, $8 D'usse, $25 Hookah, 1/2 priced appetizers til 5pm!!! Consider bottle service as a means to make the day unforgettable! Soul Smoke celebrates music, culture and cannabis education. It will feature some of today's most notable artists, DJs, activist and hosts. 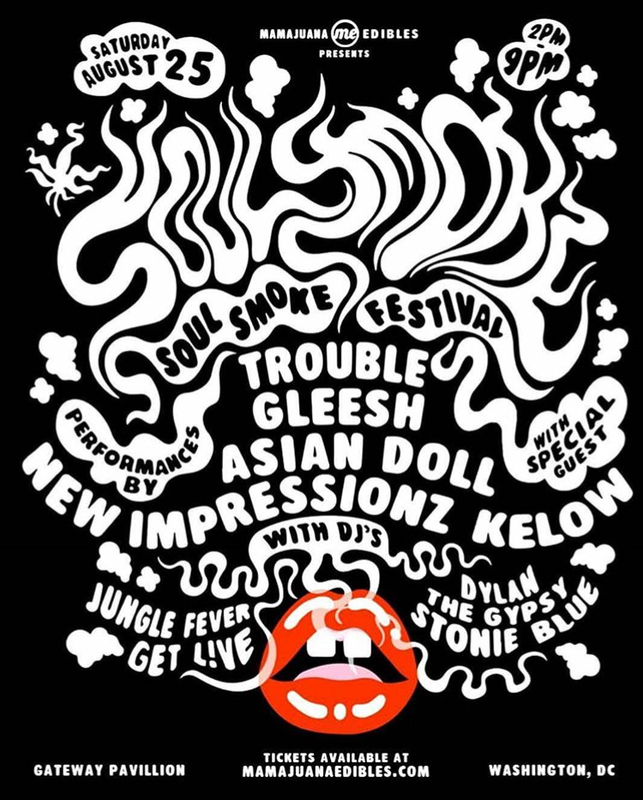 Soul Smoke promises to bring positive and friendly vibes to the DMV. Attendees will be able to enjoy cuisines from the region, play games, and win prizes. There will also be discussions and presentations about "Cannabis Businesses and Investments for Dummies", Weed for Warriors Project and the medical uses of cannabis. Meet representatives from the DC Department of Health Medical Marijuana Agency and the different medical marijuana centers in DC and Maryland. and more SPECIAL GUEST TO BE ANNOUNCED! KNOCKTURNAL X NODJNOPARTY PRESENTS . . .
Producer focused Open Mic. Sign Up starts at 8. Performances at 9. Nature Boi is known for alot of different things. Some people know him as Producer, some know him as a Deejay. These days he's most known for his weekly open mic "Open Gem" but on his 31st birthday July 31st he wants share his love for performing live. Not only will he be performing his discography in its entirety but Nature is also releasing new project called "Fawva's Day" to celebrate his new journey as a father. Eu1ogy and IahhQueen will be the openers as well as suprise guests. 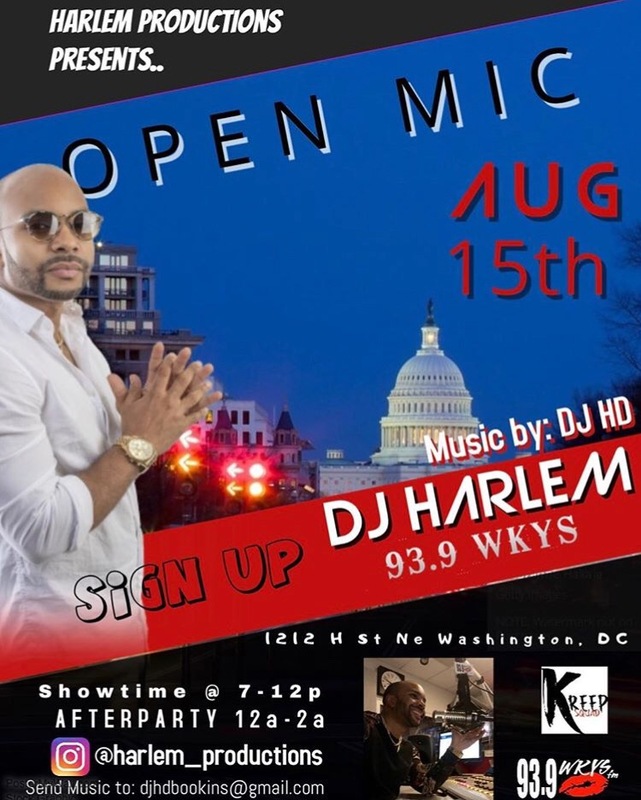 Gem Starz is a culmination of the best performers from the Open Gem Open Mic series started by Nature Boi Music in August 2017. GemStarz will showcase a 30 min cypher, singles performances and four featured artist sets followed by an after party. Tickets are $15.00 at the door. Come early this will be a packed event. Track Stars is a platform for producers & artist to showcase talent and perform their single/ record in front of a panelist of industry experts for feedback and a chance win prizes. Each participant will be critique & receive feedback from invited panelist there show & record. Track Stars was created to help give artist and producers insight & guidance on their music. Participants will be preselected through audition or personal invite. Participants will have a chance to win studio time, and other prizes from participating sponsors & judges. Participating artist will be given up to 5 minutes to perform their most popular track or tracks of their choice. Artist will be receive feedback from all judges .The artist with the highest scores and votes from fans will win a prize pack from sponsors including digital marketing from MadeInTheDMV*, Artist must audition if not invited. In the case of a tie between contestants based on judges scores,artist/producer will be given 2 mins to perform . Open Gem met Artscape and GemScape was born. Free Event! Free Event. Bring ya bars! Joy Club & Tequila Tlk! 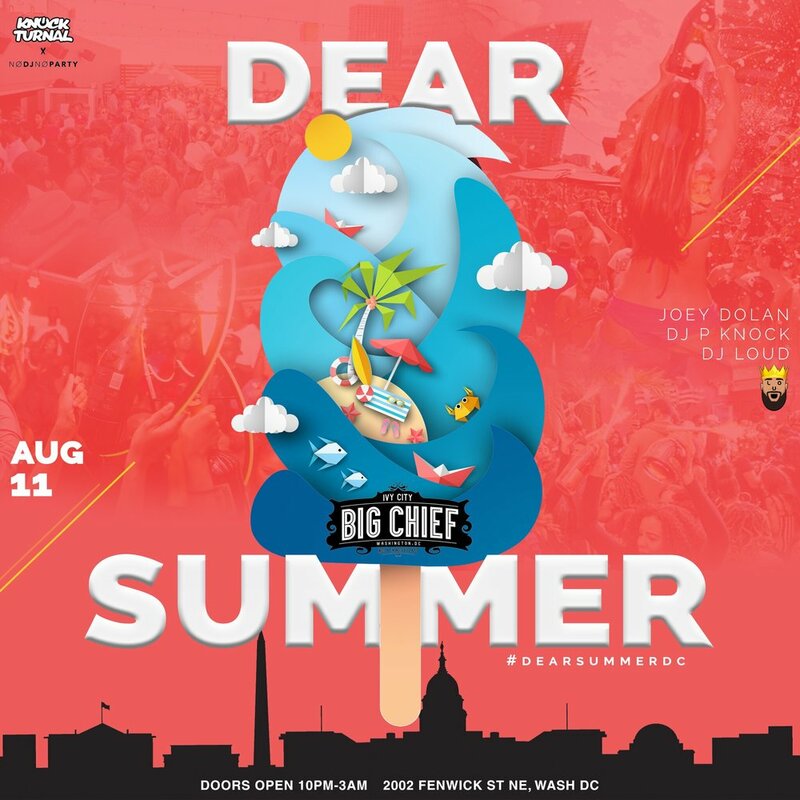 are back for the 6th edition of Really Big Tequila Party at Big Chief with Special Guest DJs repping for the East Coast! This time they looked out for the non-tequila drinkers with drink specials sponsered by both Avion Tequila and D'USSE. Please make sure to RSVP and ARRIVE EARLY to avoid lines. Doors open at 9pm. Free with RSVP until Midnight.